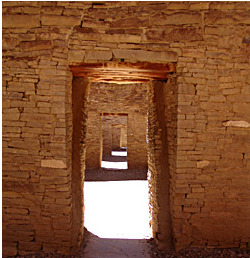 The seven Keresan-speaking Pueblos of north-central New Mexico with their present population of some 8,000 persons have long been in contact with Spanish and Anglo-American Cultures. Despite centuries of contact, the language of these Pueblos, like many other aspects of their culture, today remains comparatively intact and shows little evidence of soon dying out. Linguistically, however, Keresan continues to be little known, both as to its structure and its relationship to other languages.